Due to an accident was formed tube. 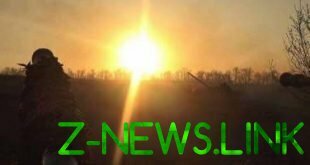 On Friday, March 29, on the outskirts of Kiev near the village of Katerynivka accident with rollover. As a result of collision with a truck ZIL 5301 coupe Infinity G37 overturned. Fortunately, has done without victims. The accident happened around 09:00. According to the driver of the Infinity, he went to Zhitomir highway in the direction of Kiev in the middle lane. In the same direction in the right lane was a ZIL. The man claims that he clipped the car on the left side. To avoid a collision he abruptly took a right and flew into the truck. From blow the car has turned over on a roof, and the ZIL pulled the wheel. Fortunately, has done without victims. At the time of the accident to Infinity was only the driver. At the entrance to Kiev formed a large tube, since the accident took the two lanes. The details of the incident are established.